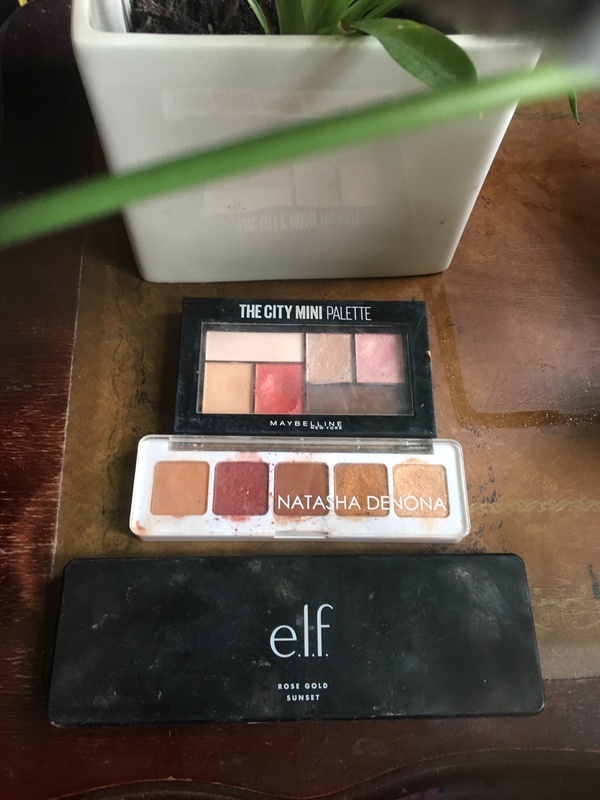 Recently I picked up some mini eyeshadow palettes on the warmer spectrum and thought I’d talk about them here since warm eyeshadows seem to be all the rage right now. The Maybelline City Mini Palette in Downtown Sunrise is very, very powdery but the pigment does translate on the eye. I used mainly the pink shade in my looks with this palette though I did also use the highlight shades and the darker brown and they performed fine as well. I was curious to try out the Natasha Denona formula so this Mini Sunset palette which is only $25 seemed the perfect way to go. I’ve seen some negative reviews of this palette online but I personally experienced none; the shades were creamy and pigmented and were very beautiful colors. I got some nice warmer-and-golden looks from the palette that I enjoyed. This palette swatched very well but when I went to put it on my eyes, the colors didn’t look as vibrant as when swatched on my arm. I tended to go for the mid-toned warm brown shade for the transition shade in my crease, and the gold for my lid and the dark red shade for the upper part of my lid above the crease for a warm, smoky look. They sheered out considerably when I did so, but I ended up generally liking my look when I paired the shadows with other colors in my collection. The light shade wasn’t as light or as pigmented as I typically like my highlight and inner corner shadows to be so I didn’t use it for those. Overall, I would give the palette a solid B. The Natasha Denona palette looks stunning!